My name is Per and I am a cand.scient. in biology from the University of Aarhus in Denmark. 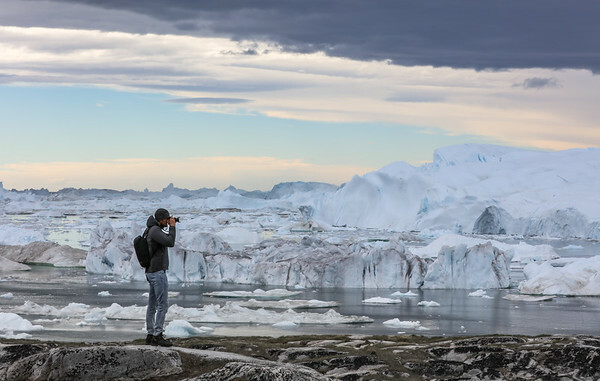 I work with nature management for the government of Greenland and practice nature photography as an interactive way of enjoying and appreciating the beautiful nature in which I live. I’m based in Nuuk, Greenland, which supplies me with phenomenal photo opportunities just outside my door. I primarily shoot in Greenland, but am also intrigued by other natural habitats and wildlife around the world. You can check out some of my photos in my portfolio and galleries. You can also read my photo blogs on the website for Guide to Greenland. You can also follow me on Instagram - please click on the link below. Nature photography is actually a pretty wide field of different types of photography. My personal passion lies with wildlife photography, attempting to capture moments with minimal interference on animals in their natural environment. I also practice landscape photography, being inspired by the vast open spaces of the Arctic. Landscape photography is a challenging and fascinating field trying to do justice to the natural scene, whether it’s mountains, glaciers or seascapes. Finally I also work with astrophotography, from capturing stars in nightscapes to the thrill of photographing aurora borealis. Creating photos with aurora never gets boring, as this ever changing phenomenon always creates new opportunities. Why photograph nature? Besides the beauty of many natural scenes and the fascination with wildlife, there is a very particular reason why I personally choose to photograph nature and wildlife. By photographing and displaying the grandness and allure of the natural scenes and the amazing wildlife on our planet, I hope to bring some level of awareness and appreciation of the natural world. The natural world is our greatest gift and we should all cherish and preserve it.